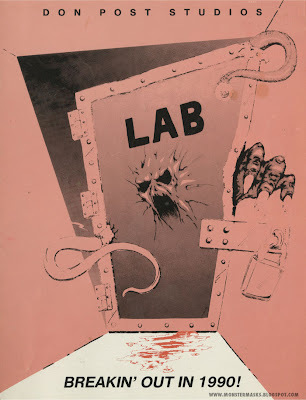 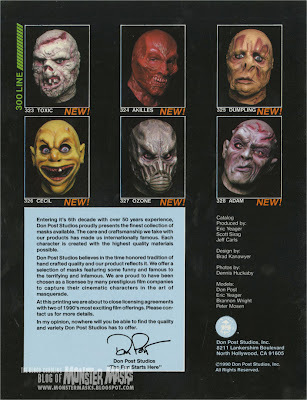 It’s been said here before on the Monster Mask Blog in the 89 DPS catalog post… the masks in this catalog really resonate with me. 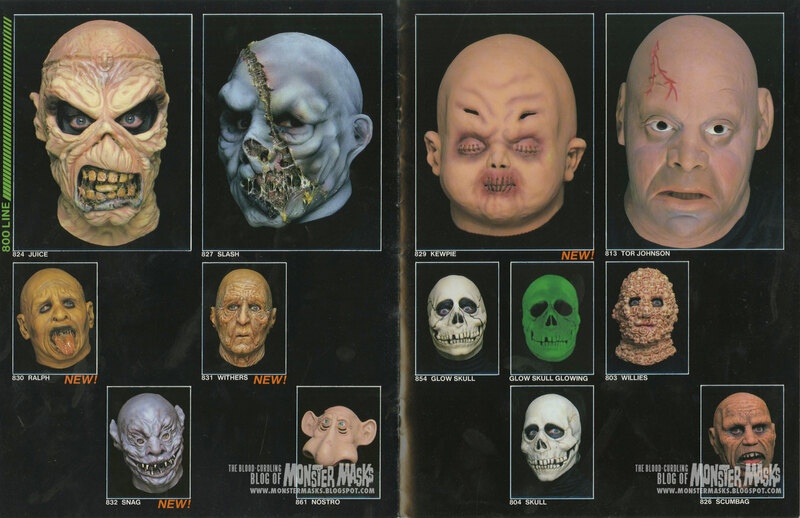 The 1990 Don Post Studios catalog is packed with monster masks I loved as a teenager. For the monster kids of the 60’s, it was the calendar masks. For the monster kids of the 70’s it was the Malone and Short creations. For monster kids that came of age in the 80’s, and early 90’s, these were the masks! 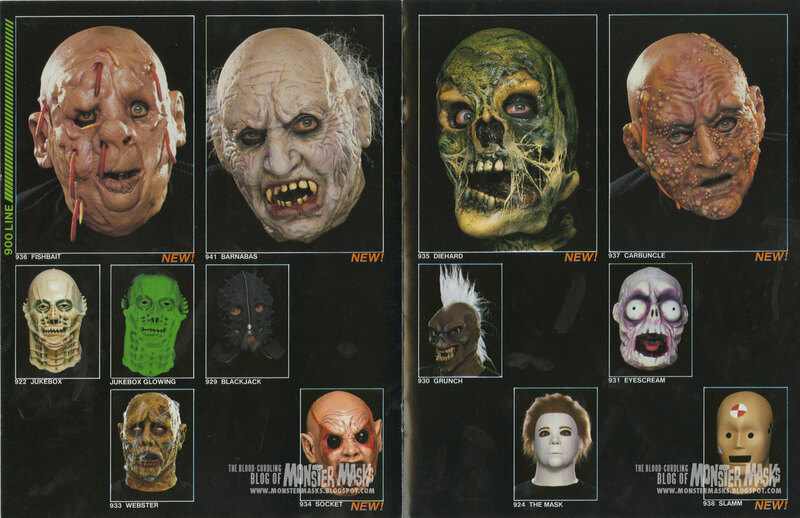 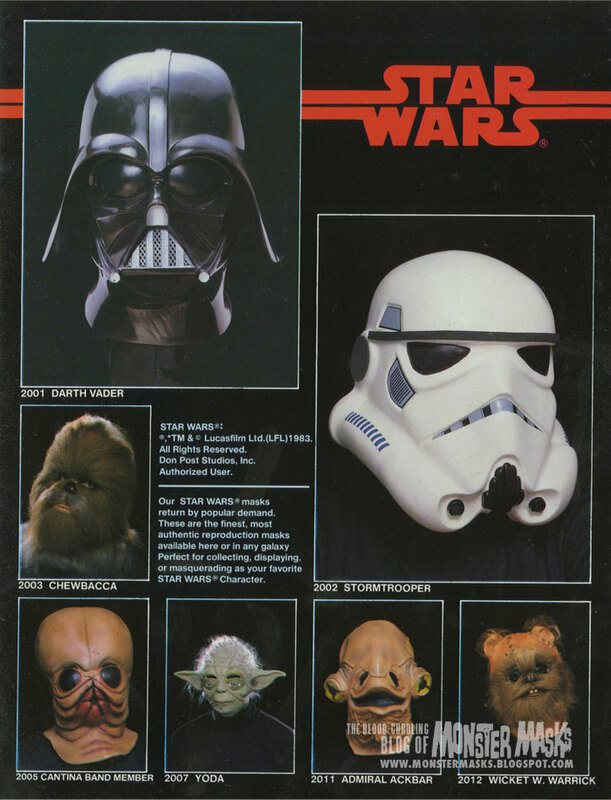 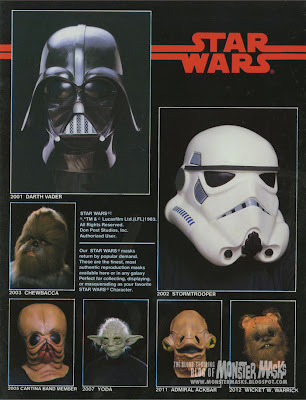 As I’ve stated before, these masks represented a return to scary monster masks which was a nice departure from many of the masks that were present in the DPS catalogs throughout the 80’s. The 1990 catalog was chocked full of great monster designs. 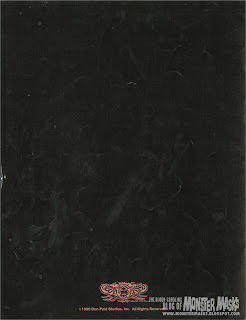 “Snakeyes” was (and still is) a personal favorite. “Sewage” was also introduced in 1990, and remained a classic staple in the DPS line-up until the company closed it’s doors in 2013. 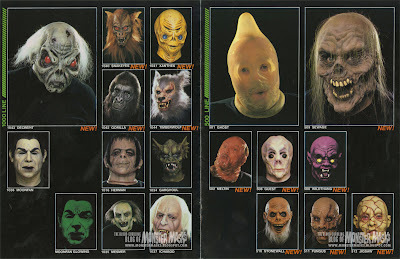 Diehard, Snag, Socket, Fishbait, Wildthang and Ozone were just a few of the new monster characters which anchored 28 new additions to the DPS line-up!